20th Century Fox managed to land an unexpected blockbuster hit with the film adaptation of the youth book The Fault in Our Stars. Starring Shailene Woodley, the film managed to haul in $120 million in US cinemas alone. The home video release should add more to that success and in order to achieve that, Fox puts out an extended version of the movie. It will be exclusively on the Blu-ray while DVD customers will have to arrange with the theatrical version only. 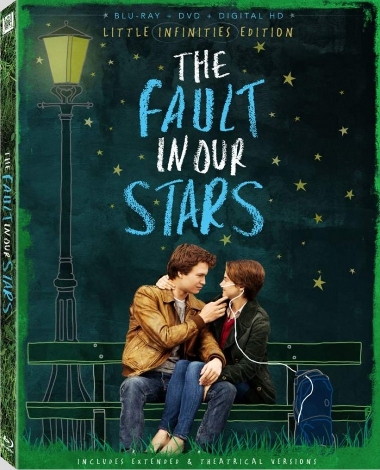 This so-called Little Infinities Edition hits US shelves on September 16th, 2014. You can order it at Amazon.com.